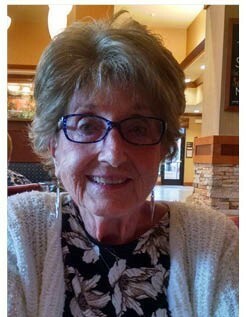 Geraldine (Geri) Koll, 88 of Grand Rapids, MI died Monday of pancreatic cancer at Ely Manor. She was preceded in death by her caring best friend (husband) Robert Koll. Joseph Bandlow (Stephanie) and nine great grandchildren. A private burial will take place at Rosedale Memorial Park. -we are living in a period now called 'The Dispensation of the Grace of God'. -in the miracles of the New Testament, as a foretaste of what life will be like in the Kingdom of God. -that the coming of Christ, physically and personally to earth, is not the next event on the calendar, but that the kingdom of God is. -that God is working in secret today. -that I show my faith by taking God at his word and acting upon it, and that His word appears in the inspired word of God. -that the dead are dead. -that I am a soul, not that I have a soul. -that the earth is our future home, not heaven. -in the resurrection of the dead. -that Satan is active in today's world. -that my salvation depends upon my believing that the Lord Jesus Christ is my savior, not a membership in a church or rituals. And this is Christianity, to me. - Geri Koll.